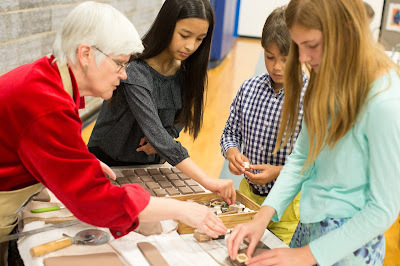 Jan Brown Checco, artist-in-residence last year at The Summit Country Day School, works with students to sculpt tiles that make up the Angel’s Light, high-relief, mosaic, wall-hung sculpture. 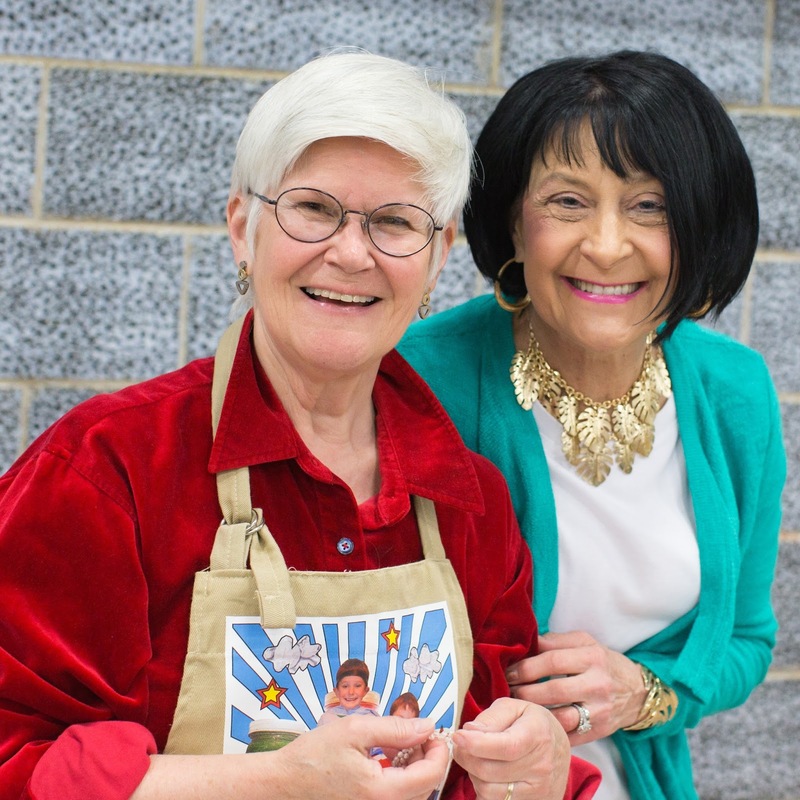 A new angel is watching over students at The Summit Country Day School thanks to Cincinnati-based artist Jan Brown Checco, who has completed a community-based art installation at the school. 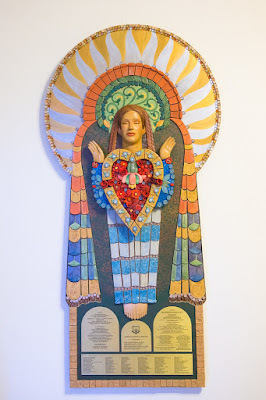 The Angel’s Light is a high-relief, mosaic, wall-hung sculpture now housed in the narthex of the school’s Immaculate Heart of Mary Chapel. Funded by Middle School art teacher Paula Yarnell-Sundermann, a 1965 graduate of The Summit and Hyde Park resident, the artwork honors the benefactors of the school’s recent Aiming Higher campaign. Ms. Checco worked with Summit students during the last school year to design the hundreds of intricate pieces of clay tile that make up the mosaic, and the piece was installed in September. In developing a thematic and stylistic style for the “Angel’s Light,” Ms. Checco took her lead from the 19th Century gothic revival chapel. Because the Sisters of Notre Dame de Namur who founded the school originated in France, she researched the early churches of France and Belgium, looking for a connection to the visual heritage of the Sisters. A figure of “St. Martin in Glory” on a column in the Romanesque basilica of Saint-Benoit-sur-Loire became the inspiration for the “Angel’s Light.” “We borrowed his gesture, garment patterns and central heart motif, but we feminized the overall being,” Ms. Checco says. 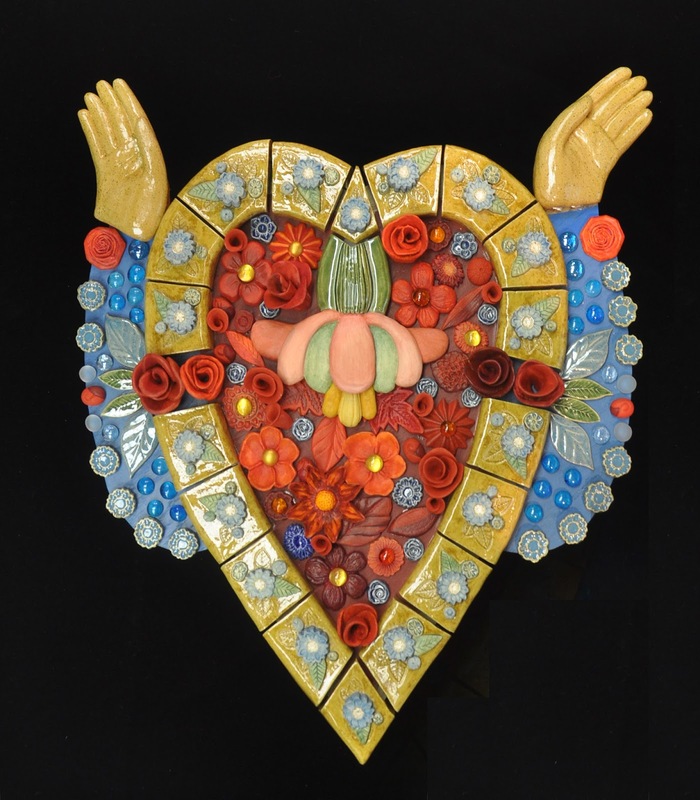 Including students from early design sketches to final pieces of the mosaic, Ms. Checco fired hundreds of handmade tiles in The Summit’s kiln and in her studio. Funded through the Leah L. Bien Family Fund and the George G. Yarnell Memorial Fund, The Angel’s Light is a gift to the school from Mrs. Yarnell-Sundermann and her sons. 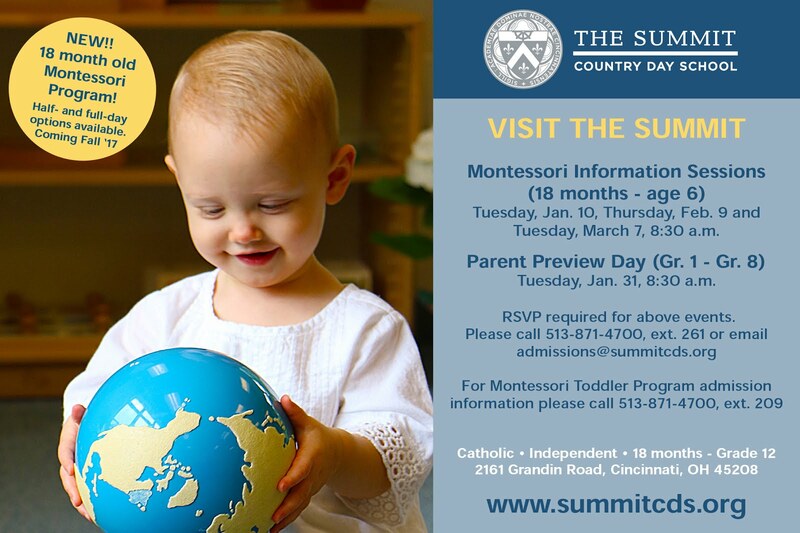 Mrs. Yarnell-Sundermann enrolled at The Summit at age 3. 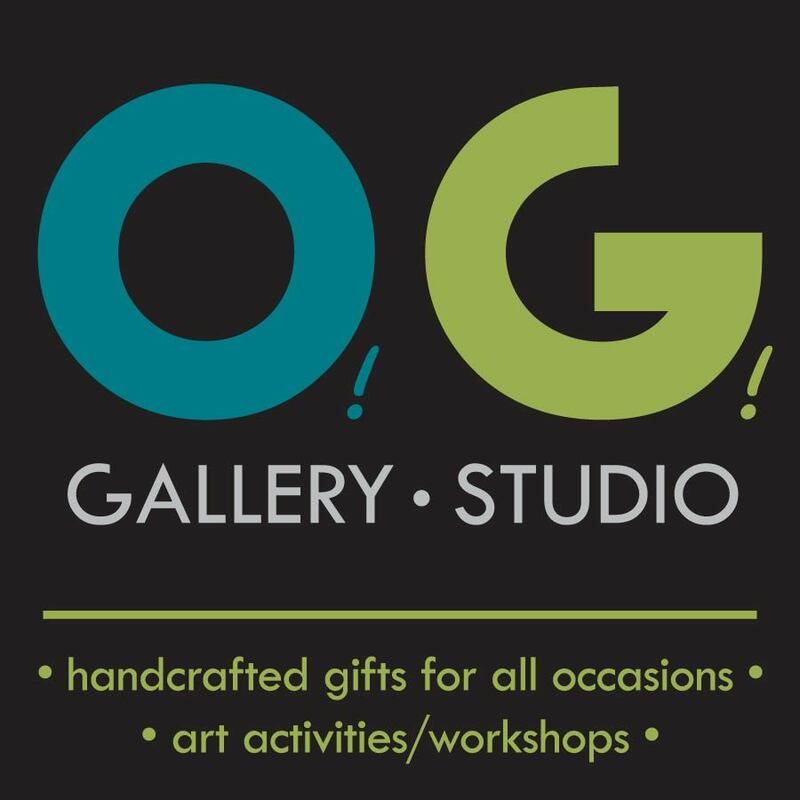 After graduating from Edgecliff College, she worked six years in education before coming back to The Summit to teach art. Both her sons, Tate and Tyler Yarnell, are Summit graduates as well. The family legacy also includes Paula’s father, Albert R. Bien, who graduated from The Summit’s eighth grade in 1926 in the days before the Upper School was co-educational; her great aunt, Julia Agnes (Bien) Matthews, who after raising two children and becoming widowed, joined SNDdeN and taught at The Summit. Ms. Checco’s work has been shown regionally, nationally and internationally, and she is well known in the Cincinnati community from installations at Krohn Conservatory, Fountain Square and Cincinnati parks, as well as her associations with the city park district and regional arts organizations. At The Summit, Ms. Checco also worked with students in 2004 and 2005 to create the “Dreambuilding Cathedral” and “Spirit of Generosity” mosaics in the lobby of the school’s chapel. Like the Dreambuilding mosaics, the “Angel’s Light” incorporates the names of school benefactors. 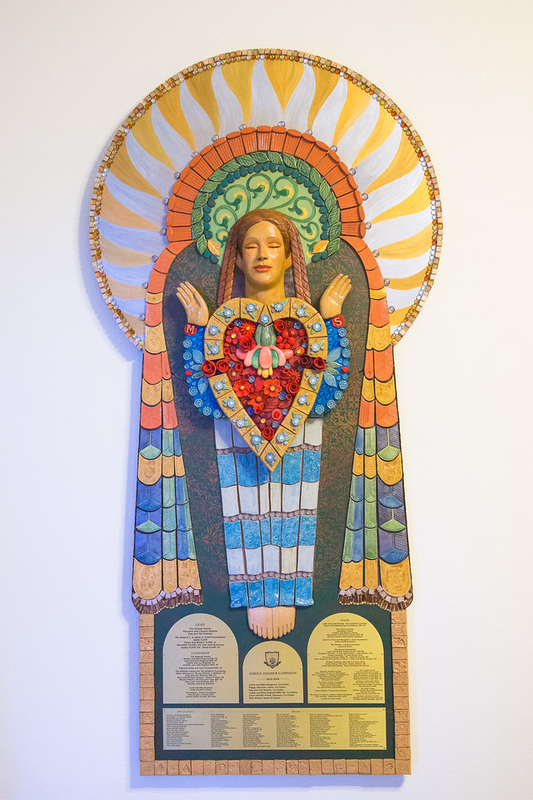 The Angel’s Light is a high-relief, mosaic, wall-hung sculpture created by Jan Brown Checco and students of The Summit Country Day School. In the center the “Angel’s Light,” hand-sculpted tiles of flowers form the shape of the angel’s heart.